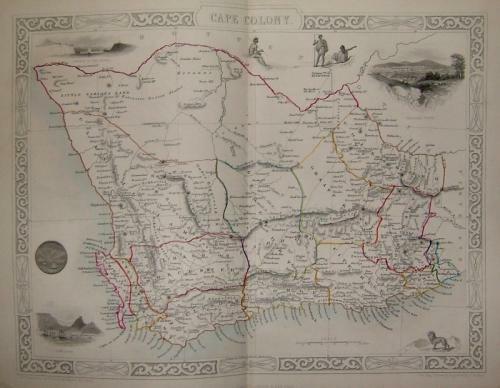 Title: "Cape Colony" Drawn and engraved by J. Rapkin. Published by John Tallis & Company. London: 1851. A steel engraved map with original hand colouring is by the London publisher John Tallis and is regarded as some of the premier decorative maps of the entire 19th century. Tallis maps are renowned for their fascinating vignettes showing various peoples, places and natural wonders of the world.